You are in a hurry because you want to reach work on time, be at an appointment, or do one of a hundred other things. So, you rush to get dressed and zip out of the house in record time. But the minute you turn on the ignition of your car, you realize that you have forgotten to get your house keys and no amount of patting your pockets or rifling through the glove compartment will make them appear before you magically! 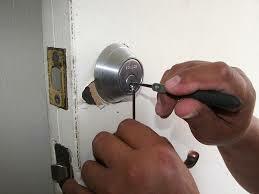 If at any point you have been locked out of your own home, you know how agonizing and time consuming it can be. And if you have a knack of being locked out of home, it is all the more important to ensure that this never happens to you again and again. Double Check, Then Check Again! Every time you have to go out, make it a habit to stop at the threshold and check for your keys. Do not lock the door until you have checked your wallet or your handbag, your pockets, or any other spot where you are most likely to put your keys. Only after verifying that the keys are on your person, should you step out. This is one of the best tip to avoid being locked out of home. Hand over a spare house key to a trusted neighbor or family who stay close by. This way, if you ever misplace your keys, you will not end up trying to break into your own home and being mistaken for a burglar while you are at it! This is a great way of ensuring that you are never locked out of your home. Identify a spot near the main door, such as a wall in the foyer or entryway, to make a home for your keys. You could hang your keys on an attractive key holder fixed to the wall or in a cubbyhole placed strategically so there is no chance of missing it on your way out. Once upon a time, it was routine for people to hide a spare key under a fake rock or a garden gnome for such emergencies. However, nowadays, this is definitely not a wise move as most burglars are aware of such methods. They even know what are the ‘unique’ ‘not so common’ places your house keys may be hidden. Instead, get a lock box secured with a numeric code and place it on your property in a concealed spot with the spare key inside. Make sure that only those living in the house know the code to access this key in an emergency. Keyless locks are the latest trend and one good way of bidding adieu to the hassle of misplaced keys for good. Smart locks that use biometric identification such as fingerprints or iris scans as well as keypad combination locks are quite popular. You don’t need a key. So, no more worries about losing a key and locked out of home. It might appear an expensive investment but its long-term benefits such as eliminating stress about keys, definitely outweighs the one-time cost. These are just some of the suggestions that can help you avoid being locked out of your own house. Pick one that best suits your individual situation and be sure to let everyone who live with know where to find the spare key. If you are looking for an honest residential locksmith in Racine for lock installation, key replacement or removing broken or stuck keys from the door lock, you can call Racine’s Lock & Key at (262) 509-0366. We are your local, friendly and most importantly experienced locksmith who can help you in a number of ways with your lock and key issues. We are 24/7 locksmith catering to the need of our customers who may need urgent roadside assistance with lockouts or car key replacements.